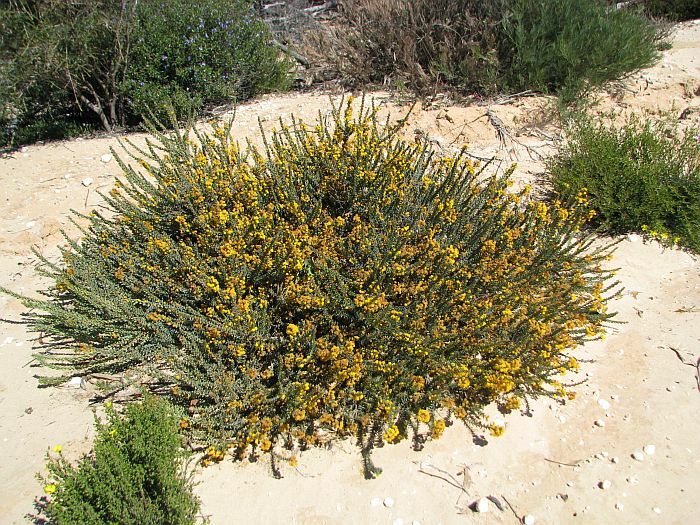 This is a low spreading species commonly around 60 cm (2’) in height, but can get to twice that size if growing amongst other vegetation. 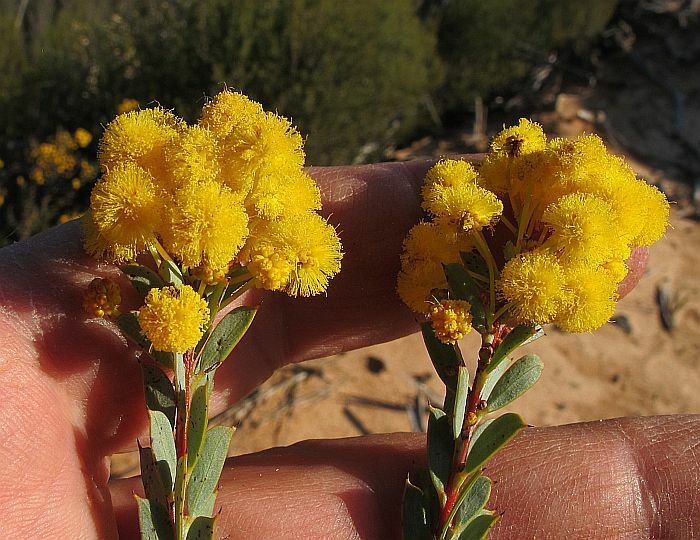 It occurs inland East and West of Salmon Gums (100 km or 60 miles north of Esperance) to WSW and NNE of Kalgoorlie (400 km or 250 miles north of Esperance), where average rainfall is mostly between 15-30 cm (6”-12”). 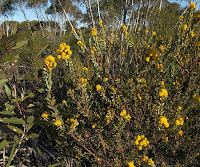 Acacia camptoclada grows in sandy loams, often over rock, clay or limestone, usually with other similar sized shrubs, either under or around small mallee eucalypts, where it can be common (especially in the Peak Charles region). The leaf-like phyllodes are either green or grey/green and each has a small sharp point that requires careful handling to avoid being pricked. 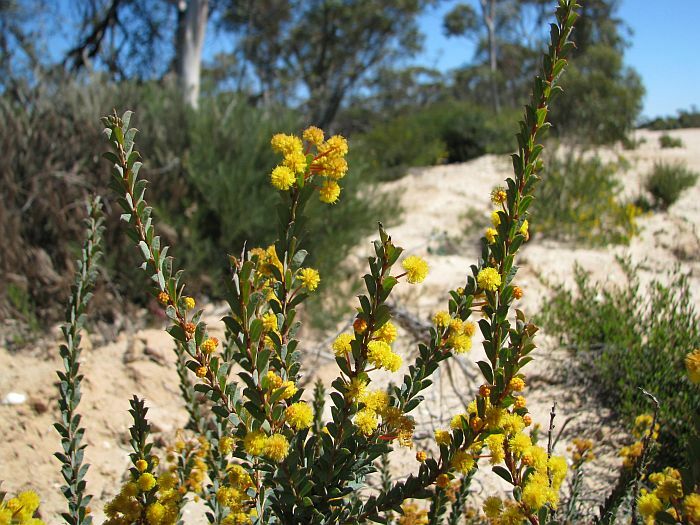 Typically the phyllode portion above the single vein is wider and curved, whilst the part below is more narrow and reasonably straight edged. The flowers (on long stalks) are arranged 2-5 at the base of the phyllodes and usually grouped near the ends of branches to produce attractive floral displays, which depending on local rainfall can occur between August and November. 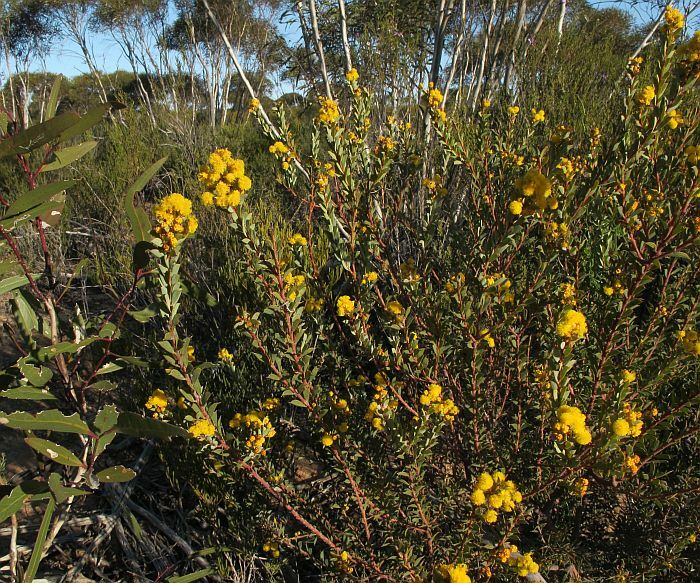 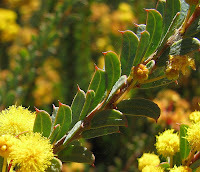 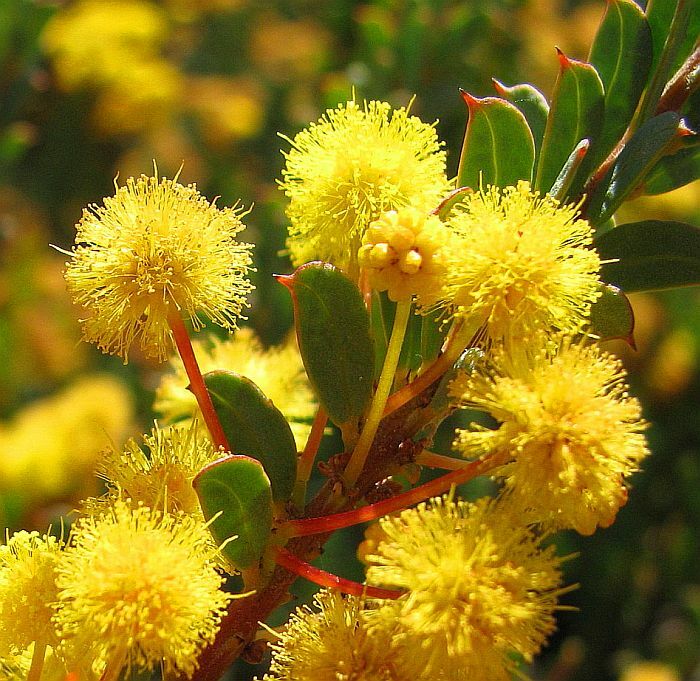 In WA due to the adoption of a new classification system, the Acacia genus has now been placed in the Fabaceae family, but may be listed elsewhere by other authorities.